The familiar continents of Earth are embedded in tectonic plates on the planet’s surface that slowly collide with each over time. Geological processes shape the planet Earth and are in many ways essential to our planet's habitability for life. 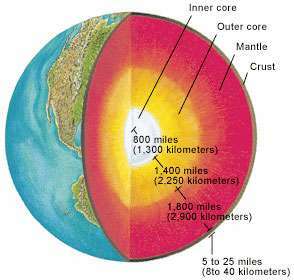 One important geological process is plate tectonics – the drifting, colliding and general movement of continental plates. This slow movement of mass has a role in causing all kinds of activity at the planet's surface, from earthquakes to the formation of mountains. A new review published by the Geological Society of London examines questions about the continental crust of Earth, which is the primary repository for information about Earth's geological history (as well as many natural resources of value to humankind). In the volume, scientists explore when and how continental crust formed and how it evolved through time. These are important questions for astrobiologists, and could provide clues about whether or not crustal formation is essential for the habitability of distant worlds.